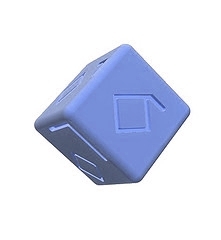 The friendship cube is a world-renowned communication, teaching, and gaming tool. It has a diamond symbol on each side. Symbols rotate to form letters and combine to create visual binary anagrams. 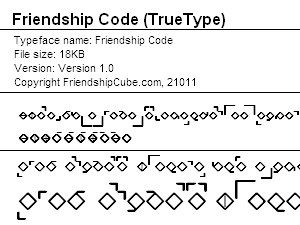 Friendship cube symbols are recognized by eye and by webcam. Friendship Cube software enables new, fun, educational human-human and human-computer interactions. Hi, My name is Graeme Kilshaw; I am the Team Leader of the Friendship Cube Group. I would like to tell you about our group and our mission that is being accomplished thanks to the generosity of people like you. We have a passion for teaching young people with our unique teaching tool, the friendship cube. We use our friendship cubes to teach 21st century skills to students around the world. With help from our friends and sponsors, we are bringing our friendship cubes, programs, and games into classrooms and schools all over the world. Our friendship cube programs teach skills like memory, strategy, communication, navigation, and teamwork. Teaching these skills, our movement is creating a better world for generations to come. Pre-scholars have learned visual tracking, hand-eye coordination, and pattern recognition from our cubes. Secondary school students have honed their literacy and numeracy skills learning from our lessons. Each friendship cube is a building block for our movement. Our mission will be accomplished when our friends and sponsors have brought friendship cubes to communities and schools in every country.